See below for homes for sale in Tempe Village located in the magic 85284 zip code in South Tempe. Talk about a convenient neighborhood! Tempe Village is just minutes from tons of great shopping, amazing restaurants, easy freeway access, Sky Harbor International Airport, major job centers and many quality of life activities like hiking, biking, sports facilities, etc. Tempe Village is a very nice gated community located in South Tempe near Warner and Priest. This neighborhood consists of 120 lots that were built from 2007 to 2011 with home sites averaging approximately 2366 square feet. Most of the homes in this neighborhood are 2 story homes with 2-car garages. For many people looking to live in Tempe, it is difficult to find “newer” construction, as much of the city consists of more “mature” and “established” areas. While the older homes can be great, many people are attracted to this type of home for the newer style, the easy to care for yards, the nice community park and the peace of mind that comes with living in a gated community. Busy professionals, ASU employees, families, and empty nesters can all typically agree that living in Tempe Village offers a great lifestyle. Take a look at the home styles, the well kept community park and greenbelt area to see if this is a lifestyle that fits your needs. 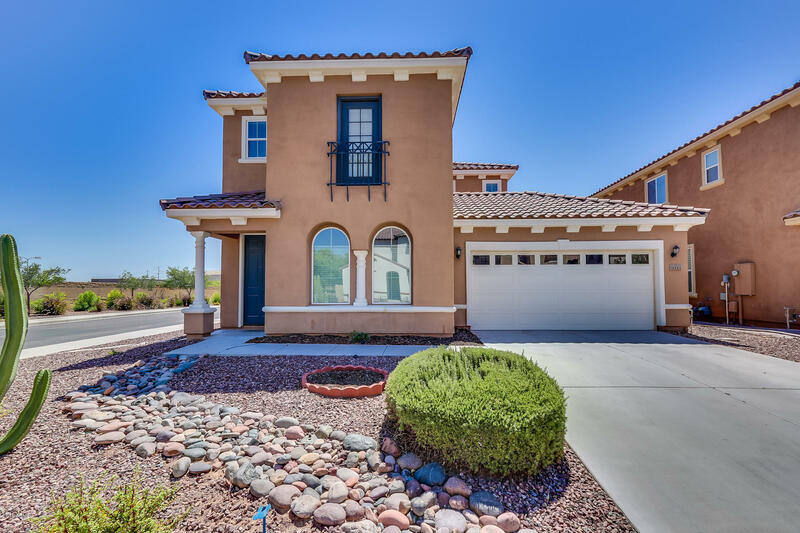 With only 120 home sites in this gated community, there isn’t always something for sale. Please feel free to contact us to be notified of all homes that come up for sale in this great area. This home has it all - location, condition, and price! 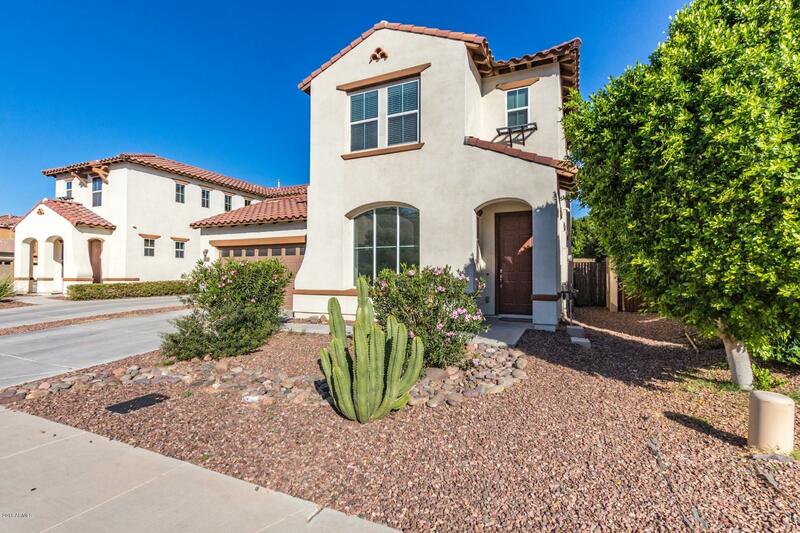 Fabulous 4 bedroom, 2.5 bath home in gated Tempe Village located in South Tempe with Award winning Kyrene Schools. Walking distance to new restaurants and shops. Home features both a formal living room and dining room and a family room with eat In kitchen. Open concept kitchen with granite counters, stainless steel appliances, gas stove, plus the refrigerator, washer and dryer are included! All tile first floor. Upgrades includes shutters throughout, lighting and wrought iron stair railing. Laundry room and all bedrooms located upstairs. Gorgeous master bathroom, all tile, double sinks, separate shower/tub and walk in closet. Low maintenance landscaping includes faux grass in the backyard. Great neighborhood park with kids play area. Move in ready home that has been freshly painted and new carpeting installed. Rooms are spaciously sized with areas perfect for entertaining and gatherings, and for private time too. Main floor study next to bathroom with shower is so multi-purpose and can be used for that occasional guestroom, converted to permanent bedroom, used for home based business, or that room for the toys!!!!! Home has water softening treatment system which is a must in AZ! 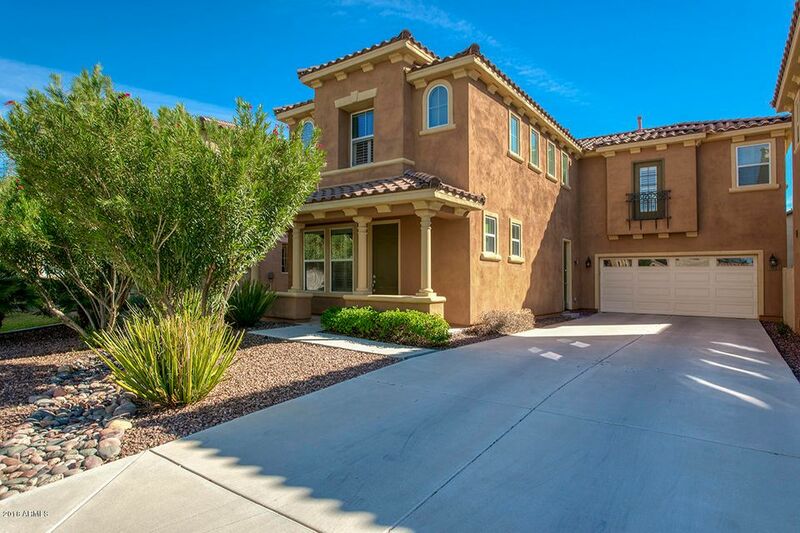 This AZ lifestyle home features speakers in Family room & covered patio. Play your favorite music while entertaining in/out. Low maintenance landscaping enables you to enjoy more of your time! Convenient location in gated community with playground, ez access to I-10, Shopping, Dining, Medical, Employment & Tempe Sports Complex.